As many cognitive psychologists and therapists know, millions of people around the world struggle with mental health issues. Because of the stigma surrounding mental disorders, many individuals struggle in silence. They fear judgment from others, so they never speak out or seek out help. Instead of suppressing the reality of your mental health disorder, open up about the issue in a safe space. The professionals of Time To Change understand the power of initiating dialogues about mental health to build connections and communication. Learn more about how they’re using Time to Talk Day to help people address and manage their mental health. Also, learn how Pennsylvania addiction recovery services can also help you. First Things First: What Is Mental Health? Mental health references a wide range of experiences, ideologies, and dispositions towards life. However, it often references an individual’s level of psychological, physical, and spiritual well-being. We tend to associate mental health with healthy relationships, normal and healthy behaviors, and maintaining productivity in the workforce. While many people maintain their mental health throughout life, it’s important to remember that this isn’t the case for everyone. In fact, many individuals struggle with a wide range of mental disorders that adversely impact their thought processes and behaviors. Time to Talk Day is an event that takes place on February 7. The event provides people with resources, strategies, and safe spaces to discuss a wide range of mental health issues. For example, the people who put Time to Talk Day together are providing individuals with a new product, the Chatterbox. The Chatterbox includes tip cards, conversation starters, posters, and postcards. These sources provide people with information and strategies that generate authentic, meaningful discussions about mental health. In addition to providing people with the Chatterbox, the Time to Talk Day representatives offers individuals strategies that will optimize the process of generating dialogues about mental health. For example, they have put together a Time to Talk Day guide featuring conversation packs that are appropriate for specific contexts. This includes the workplace, sports clubs, schools, and community contexts. Should I Obtain Professional Help? People who are serious about cultivating and maintaining mental health should know that they don’t have to let shame or stigmas prevent them from attaining help. 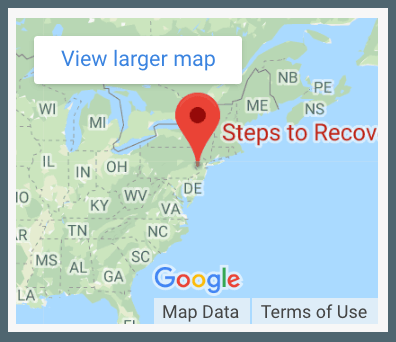 If you’re looking for a dual diagnosis treatment center where you can obtain excellent services from amazing people, choose Steps To Recovery. The representatives of this organization work with persistence, passion, and patience to help patients recover and return to their worlds with a positive, progressive outlook. Call 866-488-8684 to learn about how our professionals can help you begin your life anew!